Presbyterian Mission Agency (PMA) has served as the missions wing of the Presbyterian Church, U.S.A. for over 200 years. With such a storied history, the organization had a lot to talk about–100,000 pages worth to be exact. 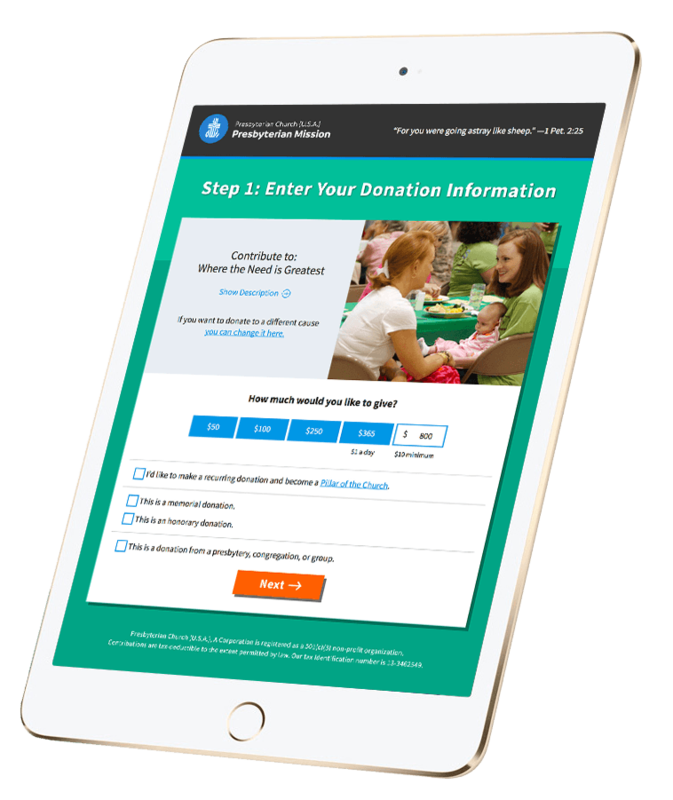 PMA was in need of a new website that was both visually appealing and able to better help their members find what they were looking for. A better organized site would allow unfamiliar readers to discover all of the important work PMA was doing around the globe. Our job was to create a site that was easy to navigate and accurately reflected the vision of PMA to the world. 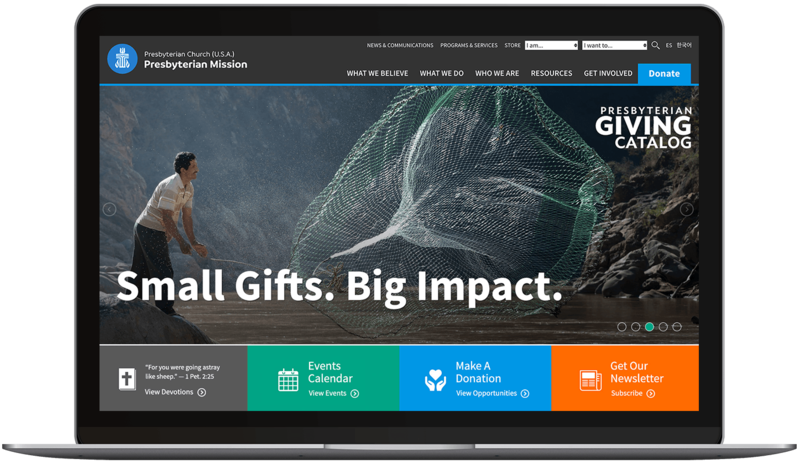 DBS launched the new presbyterianmission.org in July of 2016. 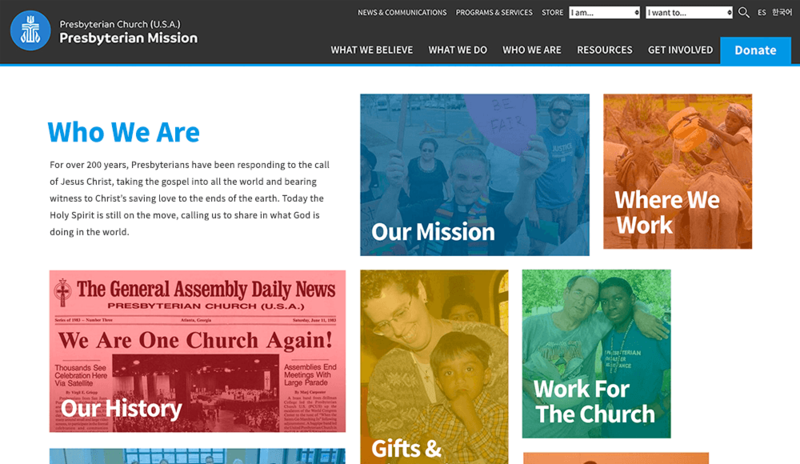 The website features custom navigation that lets users easily discover PMA’s reach and mission. We used a custom WordPress installation to build a site that gives PMA newfound control to monitor, add, and remove content across the site. Their website is now a catalyst for raising awareness, inspiring activism, and encouraging donations by those wishing to support the cause. 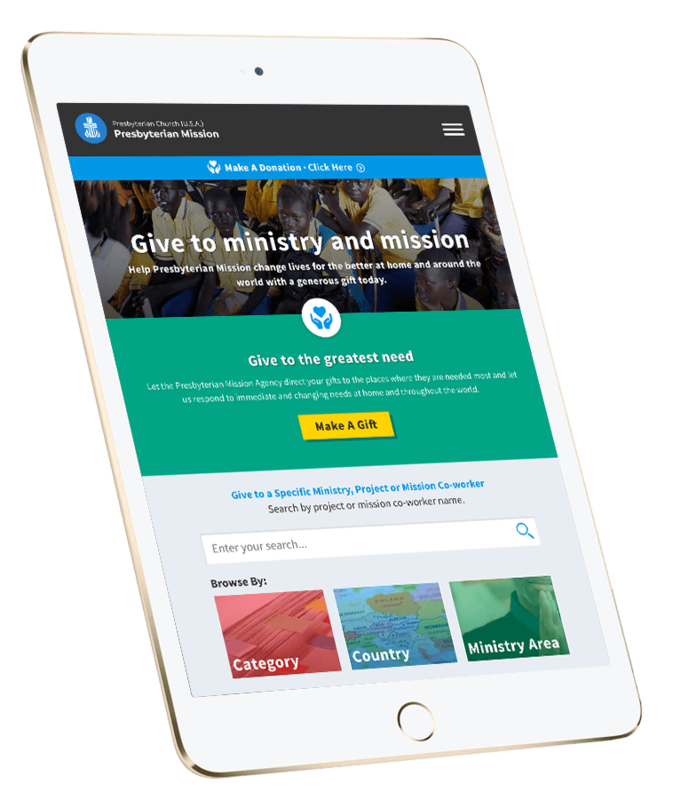 PMA’s new website has been widely praised by internal stakeholders and other prominent members within the Presbyterian community. Through content strategy and analysis of existing data, we were able to reduce the website from 100,000 pages to 10,000 pages. By doing this, PMA was able to put an emphasis on creating story-driven content for their readers and followers that was previously missing. In this case, less was more as the streamlined site offers a new level of control to PMA while providing their visitors with a better user experience.